Last year about this time I was sent Endangered (A Summer Westin Mystery) for review. As soon as I saw the cover I was intrigued. That cat’s eyes just looked right into mine. If you read my review you know I finished this book and couldn’t wait to get my hands on the next Summer Westin Mystery. I also knew I had to invite Pamela Beason to be my guest for Cozy Wednesday. I was chair dancing when she said “YES”. That day is finally here!! Please help me welcome this amazing author!! Hi Pamela! We are so happy you are here!! Hi Everyone! I am glad to be here! I’ve always loved variety and I’ll read any well written story that takes me to another world, no matter whether it’s a romantic ghost tale or a biography about sailing across the Pacific. But I can’t write in every category. I have very definite themes and elements that will probably always figure into my books. I tell beginning writers to write about their passions and the story will come easily. That’s what I do. So, why do I write what I write? I have an ongoing love affair with animals. The animal world has always fascinated me. As a young child, I kidnapped toads and tortoises from the wild, kept bugs in paper “circus tents” under my bed, and often pretended my dog was a bear and my cat was a cougar. I wore out the encyclopedia pages on exotic animals. My little sister and I didn’t play Cat and Mouse; we played Giant Condor and Chinchilla (not a lot of entertainment in rural Kansas back then). In high school, I was an Explorer Scout at a zoo, where I helped train a baby elephant and conquered my fear of snakes (well, of small boa constrictors, anyway). I saved my babysitting money for years and bought a horse on my 16th birthday, much to my parents’ surprise. Nowadays, I cherish my pets and celebrate each encounter I have with wildlife, and I put a lot of these special moments in my books. I made the protagonist of my Berkley Prime Crime mystery series, Summer “Sam” Westin, a wildlife biologist by training. The first book in the series, Endangered. has cougars, birds, lizards, and a ringtail “cat” in the wild, as well as Sam’s pet cat at home. The newly released sequel, Bear Bait, has birds, elk, a sewellel (“mountain beaver”), and of course, a bear. The third (not out until 2013) includes all the exotic land and sea animals of the Galapagos Islands. Even my romances, Shaken and Call of the Jaguar, have cats, a garter snake, a tree frog, an opossum, and a skunk. My suspense novel The Only Witness is the tale of a signing gorilla who witnesses a baby’s kidnapping. I am fascinated by the difference between perception and truth. It may be human nature to jump to conclusions based on opinions and appearances, but that can be a disastrous leap. My work as a private investigator has taught me the importance of seeking the whole truth behind any story, no matter whether the storyteller is a respected law officer, a homeless drug addict, or my best friend. So I force my series protagonist Sam to work as an internet reporter and sort reality from rumor. Endangered takes place in the midst of a media frenzy. Bear Bait deals with mistaken impressions. Even my romance, Shaken, is the story of a woman trying to prove her innocence when the evidence points to her guilt. I want justice to prevail. I can’t always make this happen in real life, but I can control the outcome in my novels. So, while my characters may experience tragedies and brief tortures during the course of a story, each of my books will always have a (mostly) happy ending. There’s enough sorrow and disaster in real life, don’t you think? So, do you care about animals, truth, and justice? (Yes, that’s a trick question—what reader is going to say no?) Then I hope you’ll share an adventure or two with me and my characters. Thanks so much for letting me blather on your blog, Lori! Pamela, You are so very welcome. I hope you come by for a visit again soon! 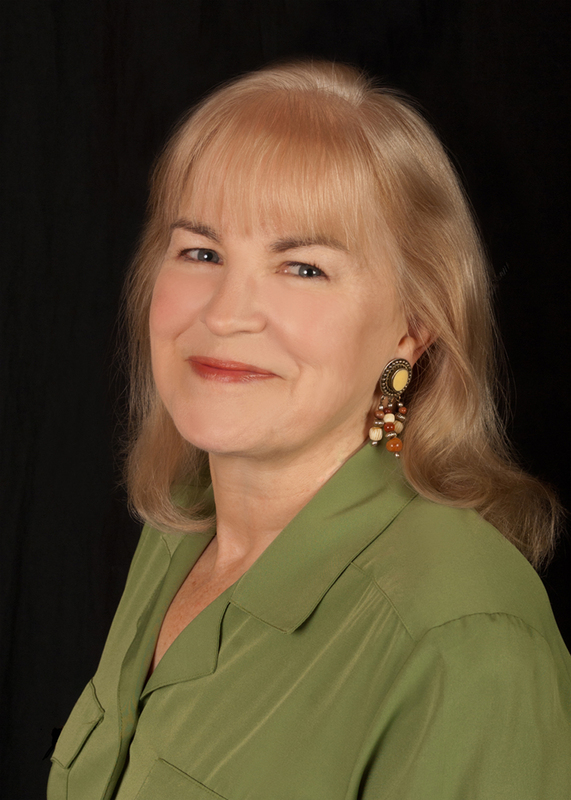 Pamela Beason is the author of the Summer Westin mystery series from Berkley Prime Crime (Endangered and Bear Bait, so far) as well as the suspense novel The Only Witness and romantic suspense novels Shaken and Call of the Jaguar . She is currently writing a sequel to The Only Witness in between sleuthing jobs and wilderness adventures. You can keep track of her on her website www.pamelabeason.com and on Twitter (@PamBeason). She also has a Facebook page, but she admits to being rather Facebook-challenged. Wildlife biologist Summer “Sam” Westin is working on a 12 week project for the National Park Service at Olympic National Park. One night while working as a volunteer fire watcher she hears an explosion and sees fire light up the sky. When the fire is finally extinguished a body is discovered among the embers. It is a young woman who was working on the park’s trail crew and she is found to still be clinging to life. Sam has so many questions starting with who started the fire? That question leads her on a trail that has to be followed carefully to be believed while finding who truly is behind this violence. Wow, this is one of those stories where you need to fasten your seat belts and hold on tight! Sam Westin is a strong woman. A woman who loves nature and animals and fights to protect both. The author definitely writes what she knows so I believe she has the same characteristics. She has a true gift of writing what she knows in such a way that is engaging, entertaining and thought provoking. Sam is truly dedicated and continues to put herself in danger to get to the truth, especially when others tell her to back off. She has a tender heart and a strong will, both of which can get her in trouble. The book is full of suspense but it offers so much more. The author has a way of describing the setting that places you right there on the trail or in the watch tower with all the splendor surrounding you. You can almost feel the ground move as a herd of elk pass by, smell the smoke from the fire, or feel the lake water wash over you as you take a quick dip. I actually escaped into this book and right into Olympic National Park and all it’s glory. Pamela Beason has created a wonderful mystery, in a spectacular place, with wonderful characters and takes us on a wild ride. I have 2 copies of this wonderful story to giveaway!! Leave a comment for Pamela for 5 Bonus Entries ! I love animals-and always enjoy when they play a major role in the books I read. I currently have 11 furkids-4 cats, 1 dog, 5 rats, and a horse! I am an animal lover and I like finding new series to read, so this is a perfect match. Thanks. Amazing cover. Thanks for giving us a glimpse into your life as an animal lover. 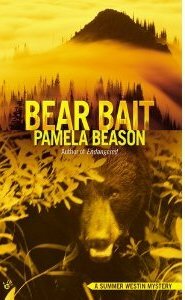 I’m looking forward to reading Bear Bait very much, I also have book 1 in the series in my home library. I just discovered this site. I have a poodle named Cassie, an orange tabby named Mr. Kitty and a 10 week old kitten my granddaughter found abandoned in a parking lot. He is black and dark gray and his name is Begara. I love to read and in fact went to Bouchercon this year. So much fun! I discovered a lot of new-to-me authors and books. I, too, am an animal lover—so any mystery with animals is a must read for me. This one sounds particularly interesting. I love all sorts of “critters” and have several. This book sounds wonderful and I am looking forward to reading it. Sounds fascinating! My love affair with animals isn’t as all encompassing as yours but I do love most of them! Welcome Pamela! I’m glad your love of animals was able to dovetail into a character for you. The book sounds great, thanks for the info and chance to win! Thanks so much for introducing me to Pamela Beason and her books. I will be blowing my book budget to get these! It will be so fun to read and review each one! I’m an animal lover too. This sounds like a wonderful series! I am also an animal lover! This sounds like a series I would really enjoy! This book sounds like a great mystery, it really has a nice setting. I love the cover it is so pretty and different. Thanks for having this giveaway. This sounds like a great series. I love animals, too, and books with animals always go to the top of my TBR pile. I love the park as a setting. I’ve never been there and probably never will get there, so it’s nice to have the opportunity to experience it vicariously. i love animals and the book looks nice and sounds interesting.would love to read it. I have been looking for books like yours! I’m so glad I found this page! Welcome Kelly!! I am glad too!! into the wallpaper … it Rocks!